Forget all those poorly made rattan baskets and trust your bread in our wonderfully crafted banneton proofing basket. Made from 100% natural unbleached rattan cane you may rest assured that you will be eating only top notch bread quality from now on. 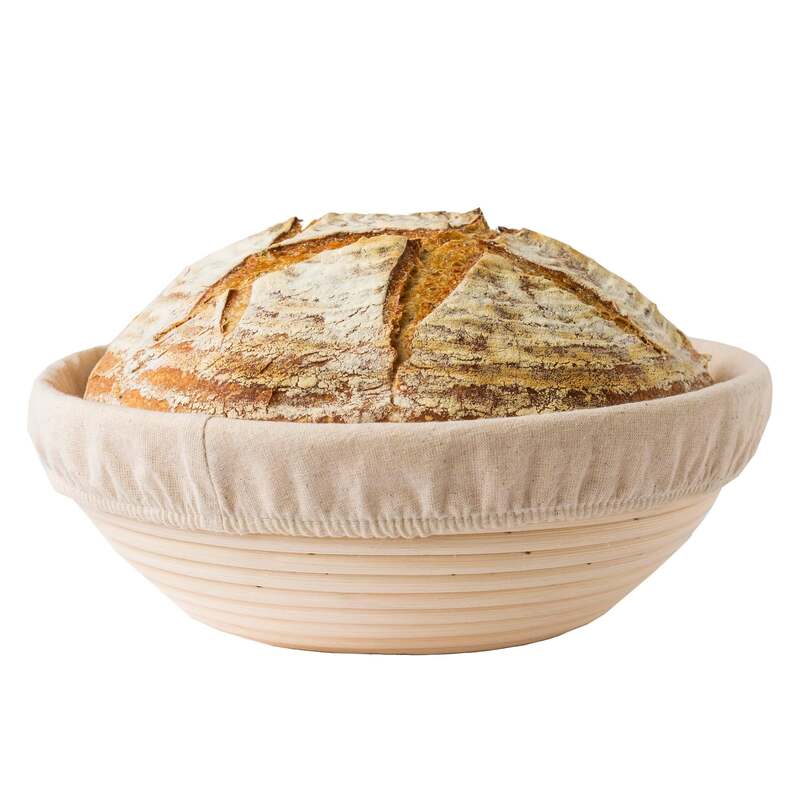 Handmade and crafted with love and high quality materials, this bread basket bowl will accompany your cooking adventures for the many years to come. If you are looking for fun and efficient ways to enjoy your bread fresh and most importantly homemade, then we got you covered. 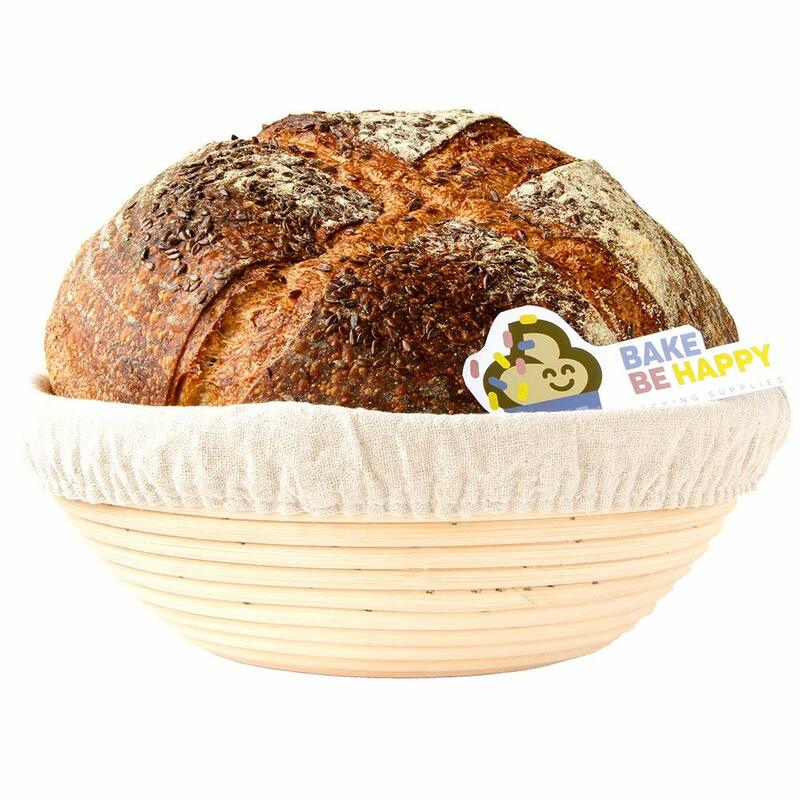 We have designed the ultimate Bake Be Happy bread banneton basket that will embrace your bread dough, nurture it, give it shape and rise it and finally prepare it for baking while you will be laying back enjoying your morning coffee in the comfort of your living room. Our large 10-inch bread banneton basket is ideal for both personal and professional use. Bakers love it because they can mae delicious bread in no time at all and mothers adore it because they can finally bake homemade bread for their families! Its large size (holds up to 3 pounds of dough) allows you to make large quantities of bread and sourdough thus being great for birthday parties, BBQ gatherings and outdoor excursions. Do not compromise with anything less than perfection when it comes to bread baking utensils and accessories. Stop wasting your precious time cleaning and scraping the bread storage basket from this day on and enjoy this proofing basket that comes with detachable linen liner. When you finish with cooking and baking in our Bake Be Happy basket simply remove the liner, toss it the washing machine and let it do the rest. 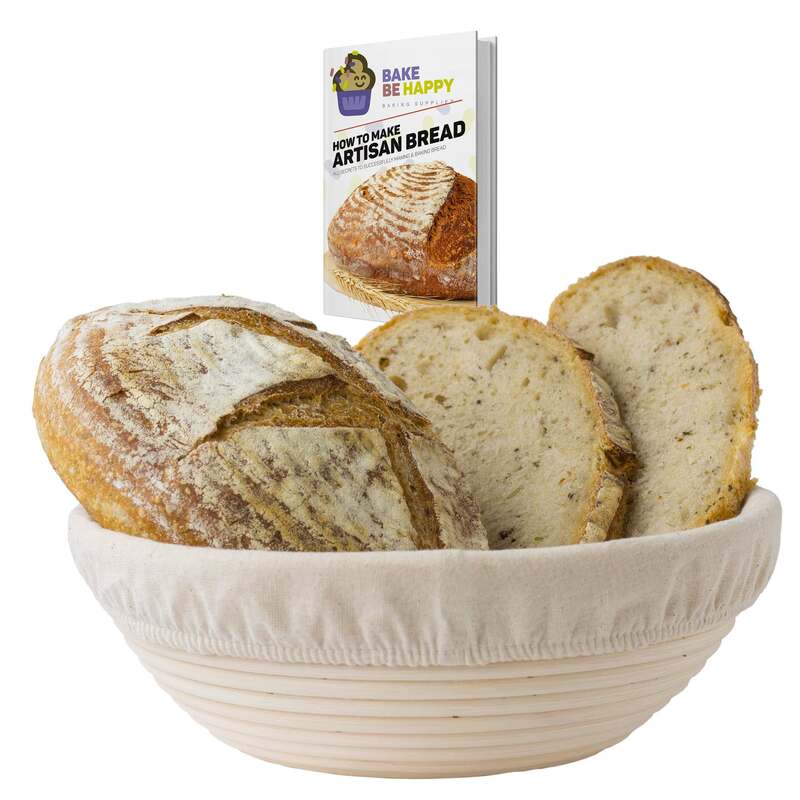 Prepare the most delicious and fluffy yet crispy bread of your life by simply using one of our proofing baskets. 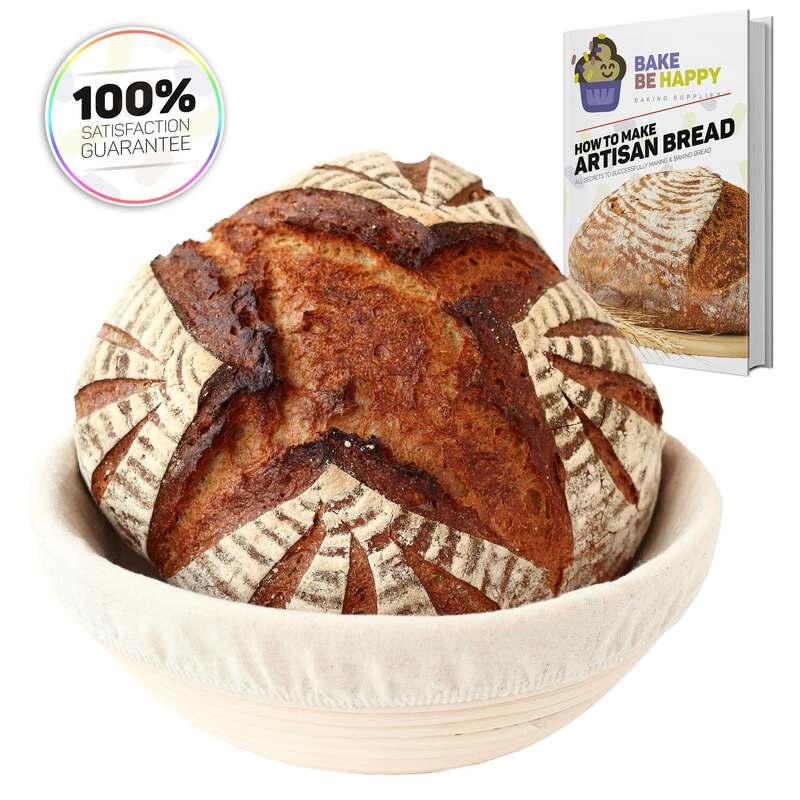 The rattan basket has an EU certification and comes with all the vital instructions to get you started and a bonus eBook that will give you inspiration, knowledge of all the secrets of bread making and recipes you will love! Since your satisfaction is our top priority, this product comes with a 100% satisfaction guarantee policy. SUBSCRIBE AND GET FREE EBOOK GIFT!